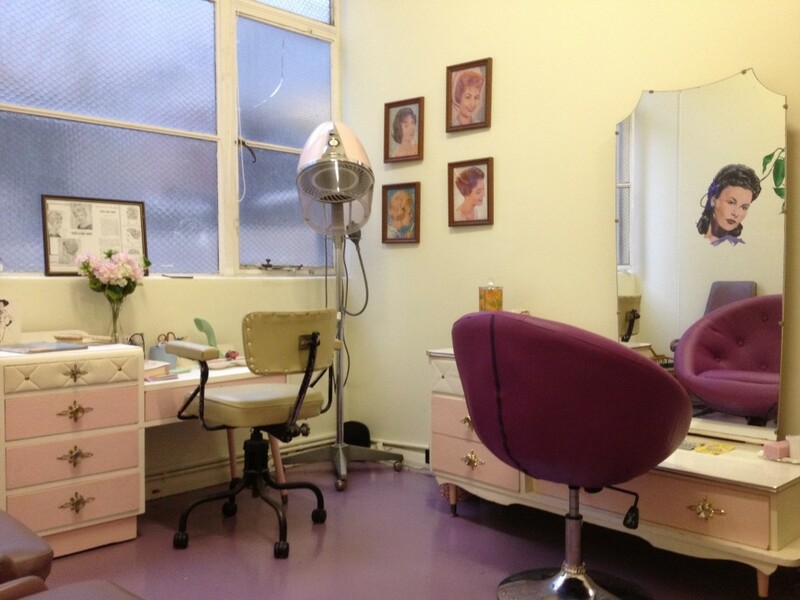 The Distinctive Dame – A vintage styling salon (cruelty free and vegan friendly). We focus on the finishing touches, those details which complete an overall vintage look. In the salon Margeaux takes pride in styling your hair just like the starlets of the Golden Age. 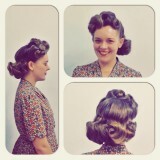 Fingerwaves, victory rolls, wave sets and beehives are the most requested hair styles. Evie is our makeup guru creating the perfect Hollywood glam face. Mel is our resident nail gal, specialising in vintage half moon manicures as well as nail art. We’re available for weddings, special events, photoshoots, hen’s afternoons and pampering sessions. Our services are available in-house, though we’re also happy to come to you for a small fee. In store you’ll also find Besame Cosmetics for the perfect shade of red and essential styling items such as setting lotion, foam rollers, sheer scarves and hair flowers. Lastly, we’re the only Melbourne stockists of Charlie Stone shoes, perfect for dancing the night away. We’ve teamed up with Annabelle of The Moonbeam Kitchen and can offer you delicious high tea in addition to your chosen service. Gluten free and vegan options are available. “Vintage styling for the modern lady”.